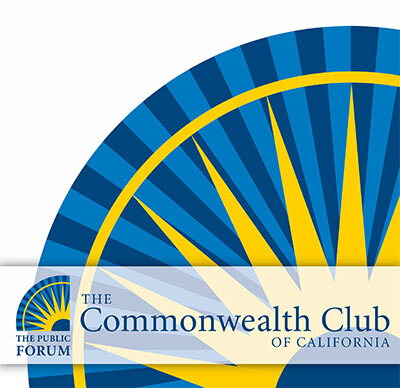 SPEAKERS Cary McClelland Author, Silicon City In Conversation with Lenny Mendonca Chief Economic and Business Advisor and Director of the Office of Business and Economic Development, State of California; Member, Commonwealth Club Board of Governors—Moderator This program was recorded in front of a live audience at The Commonwealth Club in San Francisco on April 15th, 2019. SPEAKERS Bret Easton Ellis Author, White (Forthcoming), American Psycho, The Rules of Attraction, Less Than Zero; Screenwriter; Host, “The Bret Easton Ellis Podcast” Nellie Bowles Tech and Culture Reporter, The New York Times—Moderator This program was recorded in front of a live audience at The Commonwealth Club in San Francisco on April 16th, 2019. SPEAKERS Ambassador William Burns President, Carnegie Endowment for International Peace; Former U.S. Deputy Secretary of State; Author, The Back Channel: A Memoir of American Diplomacy and the Case for Its Renewal In Conversation with Dr. Gloria Duffy President and CEO, The Commonwealth Club This program was recorded in front of a live audience at The Commonwealth Club in San Francisco on April 17th, 2019. SPEAKERS John Holdren Former Science Advisor to President Obama, Teresa and John Heinz Professor of Environmental Policy at Harvard Kennedy School of Government Gina McCarthy Former U.S. EPA Administrator; Director of the The Center for Climate, Health, and the Global Environment, Harvard T.H. Chan School of Public Health Greg Dalton Founder and Host, Climate One Recorded in a special program at the Harvard T.H. Chan School of Public Health in Cambridge, Massachusetts on April 2nd, 2019. SPEAKERS Maher Kalaji, Ph.D. Eran Kaplan, Ph.D. Rhoda and Richard Goldman Professor in Israel Studies, San Francisco State University Banafsheh Keynoush, Ph.D. Author, Saudi Arabia and Iran Eddy Simonian, MA International Relations Graduate, University of San Francisco Jonathan Curiel Journalist—Moderator This program was recorded in front of a live audience at The Commonwealth Club in San Francisco on April 12th, 2019.